Throughout history, determining the size of the solar system was a long-standing problem. Nearly two millennia ago Aristarchus measured the angle between the Moon and the Sun when the Moon was in its quarter phase (when half of it is illuminated from the Sun), and used trigonometry to determine that the Sun was about 20 times further away than the Moon. Some time later, Hipparchus used the parallax of the Moon to determine the Moon was about 60 times the radius of the Earth. These results weren’t particularly accurate, but they were the best to be had until at least the 1400s.The problem lies in the fact that the position of the Sun, Moon and planets are determined relative to Earth and its orbit. So while astronomers could determine, say, the ratio of Jupiter’s orbital distance to Earth’s with great precision, determining the size of Jupiter’s orbit in actual distance still depended upon the rough values of Hipparchus and Aristarchus. But by the 1600s the introductions of telescopes allowed for extremely precise measurements of planets relative to faint background stars, particularly when using a micrometer eyepiece. By 1672 the precision was high enough that both Giovanni Cassini and John Flamsteed took up the challenge of measuring the distance to Mars during opposition. 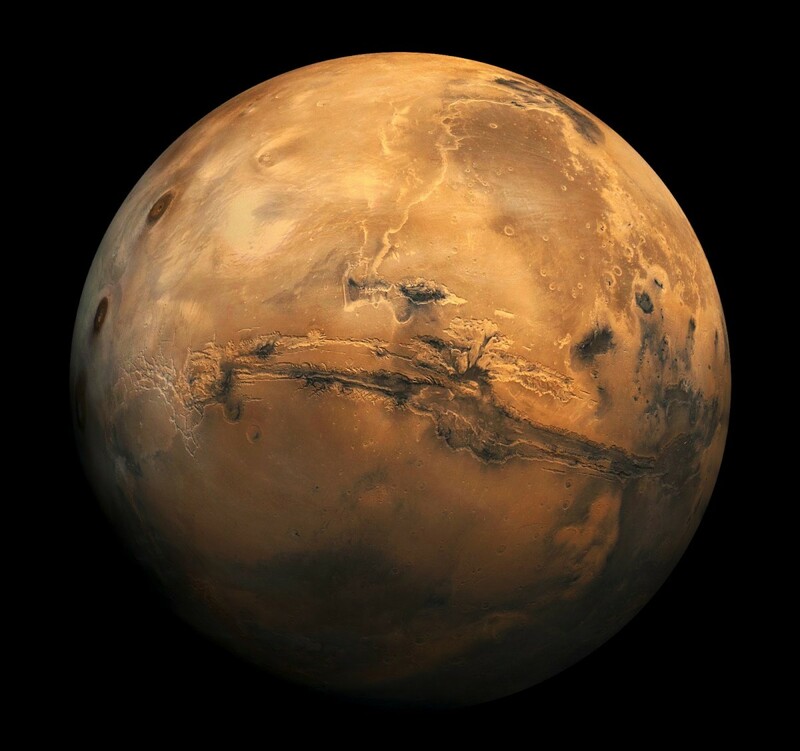 When a planet like Mars is at opposition, it is basically as close to Earth as it can possibly be, and since it is opposite the Sun it is easily seen in the dark of night. With a precise distance measurement of Mars at opposition, the scale of the solar system could be calculated. Both Cassini and Flamsteed used parallax for their observations, but their methods were radically different. Cassini aimed to use the width of the Earth as is baseline. He sent his colleague Jean Richer to the Cayenne Island on the coast of South America, while Cassini remained in Paris. Richer arrived in Cayenne a year before the transit in order to make precise measurements of the island’s latitude and longitude. Cassini and Richer then each observed the opposition of Mars, from which the parallax could be calculated. Flamsteed’s approach was to use the motion of Earth as a source of parallax. He measured the position of Mars a bit after sunset one evening, and then again a bit before sunrise the following morning. The motion of Earth during the night thus produced a parallax shift. Normally this wouldn’t be very accurate, because while Earth moves in its orbit, so does Mars, and the amount of shift in Mars’ orbit would be larger than the parallax. But Flamsteed measured the parallax when Mars was at its peak of retrograde motion, so that the effects of the planets motion was quite small. Despite their quite different methods, both Cassini and Flamsteed got a value of about 87 million miles for the Earth’s distance from the Sun. Compared to the actual value of about 93 million miles, it is vastly more accurate than the estimates of Hipparcus and Aristarchus. It was a result that wouldn’t be improved upon until observations of a transit of Venus in 1769. Wondering what your take on Eridanus void is, the CMB cold spot. Any speculation? Interesting! Thank you for sharing. I did wonder: first you mention that Cassini and Flamsteed were doing a competition for measuring the distance to Mars, and in the end you suddenly compare their calculated distances to the sun? Yes, because in astronomy the scale of the solar system is typically measured relative to an astronomical unit (the distance from the Earth to the Sun). That is what they were technically trying to determine. Unfortunately, Helden’s 2010 book from the University of Chicago Press makes it clear that neither Flamsteed’s nor Cassini’s measurements deserve much credibility, which is why Halley didn’t believe in the results.